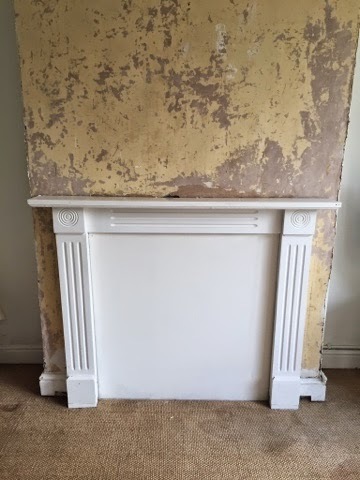 Disused and closed off fireplace. 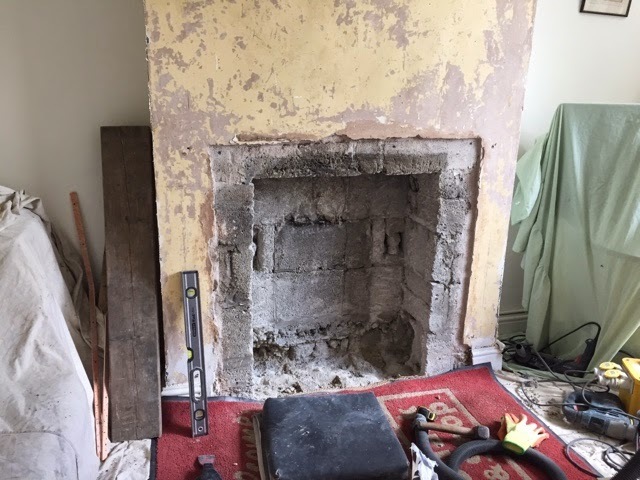 Enlarged fireplace opening. Prior to fitting a new lintel. Lintel fitted. 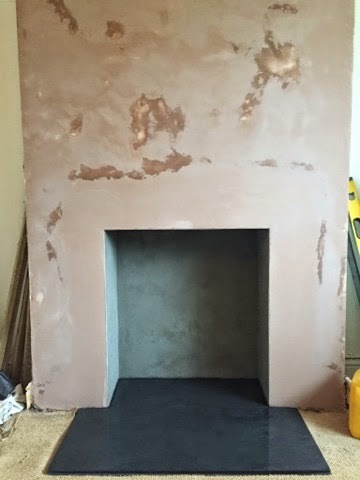 Opening cement rendered and chimney breast levelled and skimmed. Shiedel flue liner, Specflue prima smooth connecting pipe painted to match the stove. 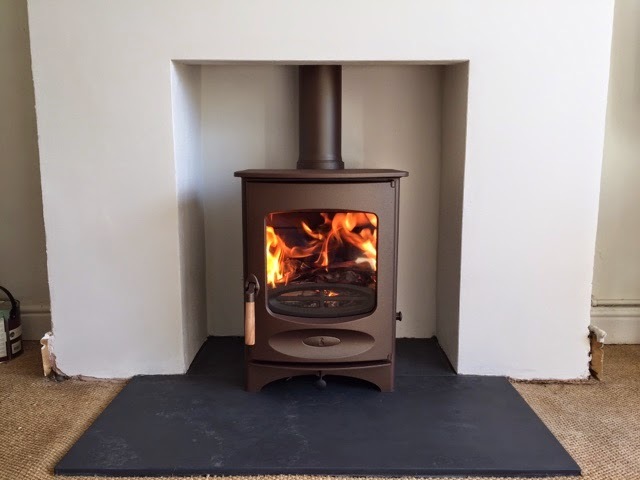 Lovely Charnwood C4 Multi Fuel Stove in Bronze.